We’re meandering up the coast heading towards Princess Charlotte Bay, above Cooktown. It’s going to take some time this trip as we’re in no hurry. I have a book to finish and a new one to start. Capt G has fish to catch and books to read. 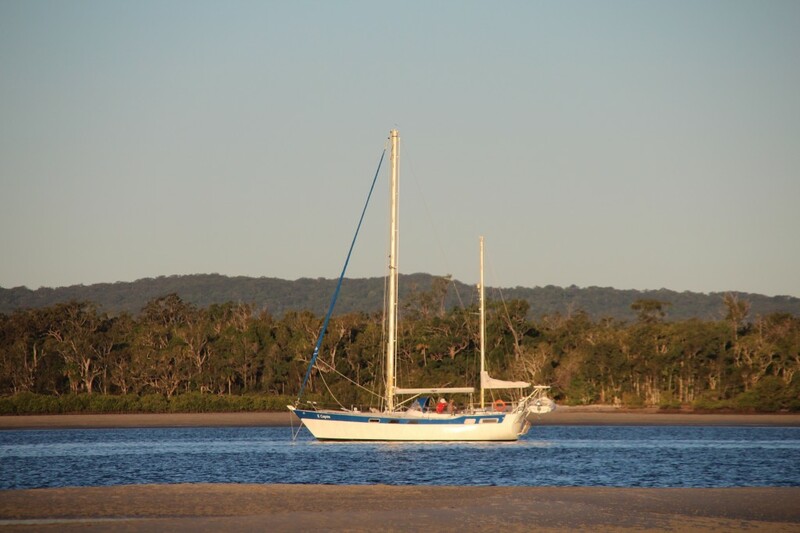 We’re anchored in Tin Can Bay tonight after another uneventful crossing of Wide Bay Bar. Fishing tinnies are zipping around, but otherwise the night is still with the hint of winter in the clear skies and dropping temperature. We dropped by a neighbouring boat to say hi – Annika and Stephen on E Capoe – it looked lovely in the setting sun. 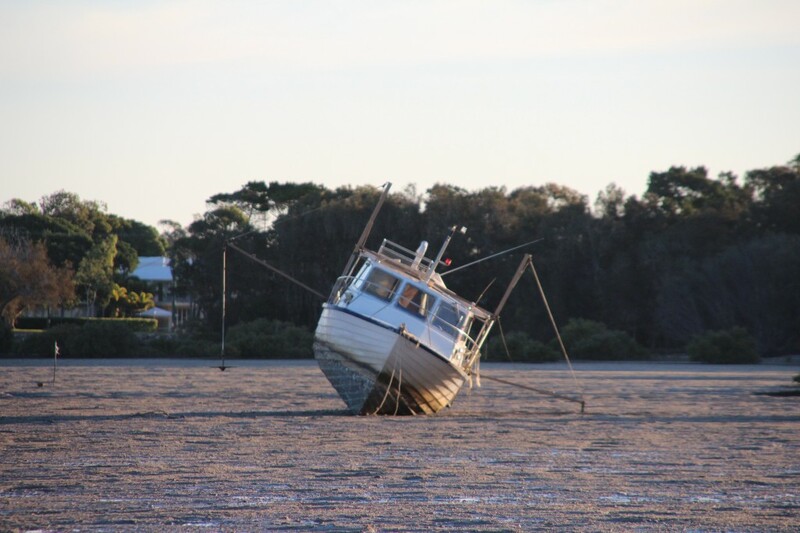 Blog Australian Author, Cruising the Qld Coast, Hachette Australia, Helene Young, Lagoon 400, Northern Heat, Penguin Australia, Roo-Bin-Esque, Roobinesque, sailing, Sandy Strait, Tin Can Bay, Wide Bay Bar. permalink. We are, Sue, it’s far more pleasant in the Whitsundays with mild temperatures and blue skies. Enjoy Cooktown and make sure you check out the museum, the botanical gardens and also the cemetery. So much wonderful history in the area. Are you heading north to get away from the cold, Helene? We’ll be back home in the smack bang of winter, not happy! 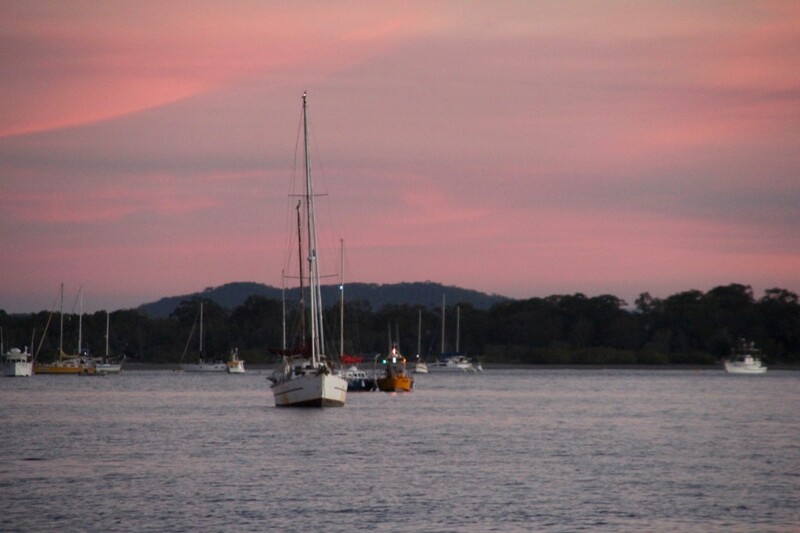 We’re making our way to Cooktown in 4 days time, it will be my first time up there, really looking forward to it. Enjoy your sailing again, Helene! Thanks, Barbara, I know I have a few readers who still prefer blogs to FB and hopefully they’ll enjoy coming on the journey with us again!